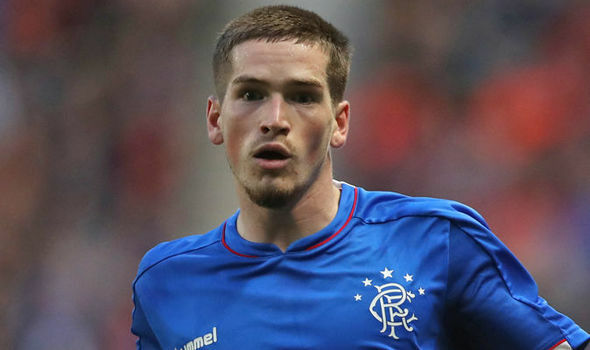 MOTM Ryan Kent last night revealed a telling tactical insight into his game as managed by Steven Gerrard, and just why he played the way he did. The on-loan Liverpool winger provided two massive assists and had an overall energetic first half before seemingly fading a touch in the second half, but the 22-year old insists the tactics rather than anything else were his guide. In simple terms Gerrard let him off the leash in the first half and while he wasn’t quite as dominating as he can be, he was still vicious on the ball and Aberdeen had no answer to him at least twice. But the second half was about control and defence, and Kent had to withdraw his attacking instinct and support Barisic and the men behind him a lot more. He has previous for this – he was Rangers’ best player at Parkhead last year, given he didn’t hide, and crucially showed defensive capability to retreat and help out at the back while the home side were trying to run up a cricket score. Last night though Gerrard set him out to attack in the first half but then withdraw and just work in the second. And we’d have to say it worked till he ran out of steam. There must have been 3 Ryan's in the team last night then because Ryan Jack certainly wasn't very good. The question must be why? We were 3-1 up at half time without playing particularly well. Why not keep going? Get the ball to Kent and Morelos and go for more goals. Instead Tavernier gives away a stupid penalty and once again we fall apart and start hanging on. Morelos going off didn't help but we then spent 20 minutes without a striker and players not knowing what they were doing while McInnes reacted tactically immediately. In the end we were lucky it never went to 3-3 because we could've went on to lose that game. Great 3 points but so many problems of our own making to sort out. Robrob57, there was a break in play between Mckenna and Morelos getting sent off which meant Mcinnes had time to organize his team and get messages across so it wasn't immediately. You could also argue they were lucky it never went 4-2 earlier with Morelos miss early in the second half, Aberdeen were always going to come out and have a go. There is no doubt Aberdeen were the better team after the red cards. There was also 13 minutes between Morelos going off and Defoe going on. For that period we played without a striker and seemed to have no clue about what we were doing. I think the McGregor incident was also during that period which could've saw us reduced to 9 men facing a penalty for 3-3. Incidentally I suspect the delay in getting Defoe on showed a lack of confidence in the player. Aye agree, you don't switch off the attack dog, when he's doing his job well. That boy is a talent. Said it, from the start.